From the late 1960s to 1984, the playwright and actor Sam Shepard lived in Nova Scotia, in a place called Hilltop Farm between Advocate Harbour and Parrsboro, near Cape Chignecto Park. Poet / musician Patti Smith stated in her National Book-Award-Winning memoir Just Kids that she and Shepard performed their play Cowboy Mouth in New York City in 1971. She goes on to say that Shepard then left the production abruptly to go to Nova Scotia. Of course, Sam Shepard didn’t spend all of those fifteen years or so in the Bluenose province. According to a recent feature documentary, Shepard and Dark, the playwright and actor kept a busy schedule writing and filming while mostly living in San Francisco and New York City. In 1984 he left his wife and son to live with the actress Jessica Lange, which may have precipitated his departure from Nova Scotia. He sold Hilltop Farm to the Canadian actor Megan Follows, best known for her starring roles in the 1980s versions of Anne of Green Gables. Sam Shepard was hardly an anomaly in landing in Nova Scotia. A raft of world class American artists started showing up in the province in the late 1960s. The East Coast of Canada beckoned to the likes of composer Philip Glass, filmmaker / photographer Robert Frank, screenwriter / novelist Rudy Wurlitzer, and artist / sculptor Richard Serra. Many of these artists interacted with Nova Scotia’s culture. Glass, for example, was the featured composer and performer for the Scotia Festival of Music, and he also lectured on writing music for motion pictures for the Dalhousie Art Gallery, where I had the pleasure of meeting and introducing him to the audience. Frank taught at NSCAD in 1972 and presented his work at Dalhousie in 1997. Frank hosted an exhibition of his work at the Art College as recently as 2014. Serra accepted an honourary doctorate from the Art College and delivered a fascinating commencement speech which revealed some of his work habits. Wurlitzer has given extensive interviews about his affection for Nova Scotia, detailing some of his connections to Cape Breton’s Buddhist community. He even named one of his characters in his novels ‘Halifax’. Sam Shepard, on the other hand, seems to have come to the province to get away from everywhere and everything else. Shepard is a fascinating figure. Tall and rangy with classic cowboy features – a chiseled jaw, high cheekbones, and a laconic presence – he fell into film acting only after becoming America’s third most important playwright of the twentieth century after Tennessee Williams and Arthur Miller. Winner of two Pulitzer Prizes for drama and a raft of Obies (for Off-Broadway productions), Shepard has also written extensively for the screen: Paris, Texas for Wim Wenders; Zabriskie Point for Michaelangelo Antonioni and Me and My Brother by Robert Frank. As an actor he has maintained a screen presence that usually resonates with the American West, from his first films The Right Stuff and Days Of Heaven in the late 1970s to his being directed by Nova Scotia Daniel Petrie in 1980’s Oscar-nominated cult film Resurrection. His screen schedule has continued with supporting roles in recent films such as August: Osage County, Mud and Cold In July. 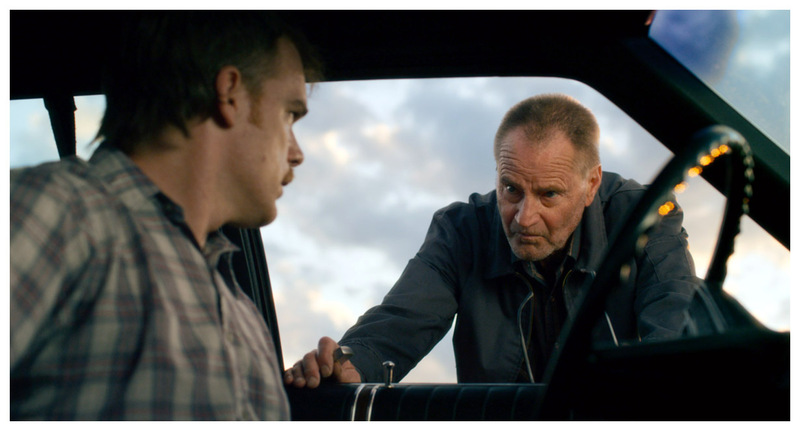 Sam Shepard in Cold in July. It’s Shepard’s plays, however, that have had the most impact on the English speaking world’s cultural sphere. From his experimental work in the 1960s to the more traditional plays such as Buried Child, The Curse of the Starving Class, Fool For Love and True West, Shepard has charted a West that is populated by caved-in families, squabbling siblings and imploding masculinity. As a kind of a writer who came in the immediate wake of the Beats (Kerouac, Ginsburg, Burroughs and the like), Shepard considered the impact of all that restless movement, eventually running out of room when the West reached its physical limits in San Francisco and Hollywood. You can see Sam Shepard personally carrying out his themes in the films Fool For Love (directed by Robert Altman) and Don’t Come Knocking (directed by Wim Wenders). Starring in his own scripts and helmed by sympathetic fimmakers, Shepard inhabits the longingly empty landscapes with a kind of manic stoicism; the shattered relationships of what’s left of families resemble roadside litter. For Shepard, it’s the West as a kind of a dead end or cul-de-sac where European values and the American Experiment have finally run out of steam. So if Sam Shepard is, in these two films anyway, the ultimate “Man of the West”, what exactly was he doing in the “East that the World Forgot” (i.e. Nova Scotia)? As I said, Shepard is a fascinating character. The fact that he lived on the East Coast of Canada in an obscure corner of Nova Scotia makes for some interesting questions. We often think of ourselves in Atlantic Canada as being on the fringe of North America, away from all of the real action. The heavy presence of these world-famous figures (Glass, Serra, Frank, Shepard) suggests that we might actually be in a strange centrality, somewhere in limbo between North America and Europe. I recently wrote about Barbara Hannigan, the Fall River-raised Soprano who has just added an Order of Canada to her vast number of honours. Hannigan is a prime example of a Nova Scotian who went away to achieve worldwide success. 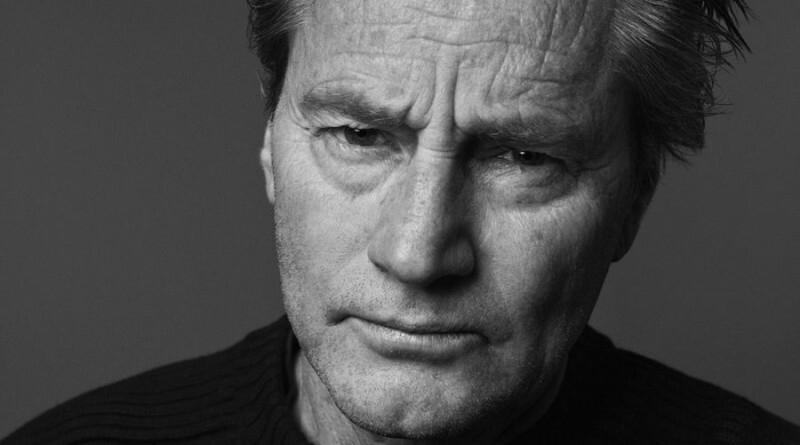 Sam Shepard is something of the reverse, a major figure in the arts who came to Nova Scotia from away. In both cases the range and reach of Nova Scotia seems to have extended well beyond our physical borders, into the spiritual ether of inspiration and haven. At the very least, it provides us here in the province with a shimmer of perspective on the place that we live.